How are you doing on your New Year’s resolution to take off pounds? Are you holding steady to your goals, or has the temptation to slide back into bed with a bag of cookies taken over? It can be challenging to commit to lifestyle changes, and it’s okay if you have experienced bumps on this journey. At Sundays Sun Spa Shop, we want everybody to live their best life, and if you need help maintaining a gorgeous glow or want to relax with any of our amazing Hampton Roads spa amenities, we’re here to help. We’re also excited to introduce a new product to some of our spas – the Slim Sculpt! Slim Sculpt is non-invasive, innovative weight loss that is safe and painless. Slim Sculpt uses state-of-the-art LED light technology to naturally shape and tone problem areas on your body. During one twenty-minute session in the Slim Sculpt, the LED lights will cover your body and penetrate your skin. The pores of your fat cells are opened, allowing the fat to be released. The cells then shrink, you eliminate the waste, and you lose inches. There’s never been an easier way to firm up your arms, hips, thighs, or waist. There’s no freezing or bruising, and you could lose up to 2 dress sizes in 30 days! Slim Sculpt is only available at select Sundays Sun Spa Shop locations. 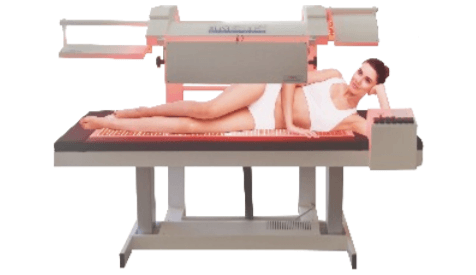 You can contact us online to find out which spa nearest you has this amazing LED bed. Let us help you keep those resolutions.